With common clay type granular sorbents, it’s commonplace to just throw down the sorbent and leave it and walk it in. All this does is create a dangerous mess on the floor. A real slip accident waiting to happen. When also using sorbent pads & rolls, when you pick them up for disposal, a small amount of Granular Sorbent will finish the job and completely dry the floor. 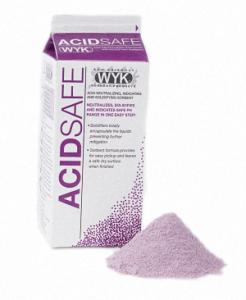 Is a universal, anti-slip/granular absorbent and it’s Silica Free. It’s Fast, not a sit and soak compound. Apply ti to spilled liquids and sweep up for a clean, dry floor. 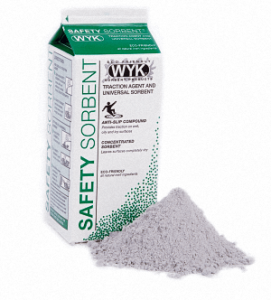 Safety Sorbent & Anti-Slip Agent is a fantastic sorbent for all kinds of liquids spills and drips. For use on all liquids from Oils to Water or chemicals. It’s inert, non-biodegradable, completely natural ingredients works particularly well on heavy, thick viscous liquids like paint and gear oil. (except HF hydrofluoric acid). Our product has been used on just about every liquid you can think of. It has been laboratory tested on over many different types of liquids for capacity, compatibility and performance. It has exhibited excellent results in most cases. Contact us for additional application details or for samples. Available in: a wide array of sizes from 2 Quart Shaker Cartons to 20 and 30 gallon poly containers to 2,000 Lb. Super Sacks. Contact us for listing of all container sizes and additional details. When you need a completely dry floor fast. But seeing is believing. 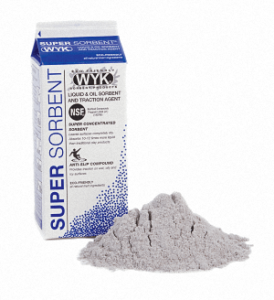 Super Sorbent has been in commercial use for over 22 years and is the choice of safety professionals. This product is perfect in use in liquid and also in use as an oil sorbent. Contact us on how to use as a Traction Agent or as a Universal Sorbent. 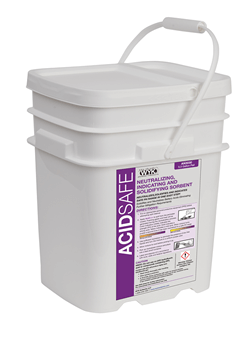 Available in: a wide array of sizes from 2 Quart Shaker Cartons to 20 and 30 gallon poly containers to 2,000 Lb. Super Sacks. Contact us for listing of all container sizes. Plus additional technical and product details. 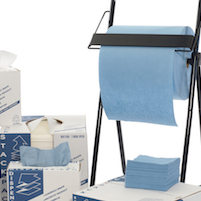 Sorbent compound makes clean up easy and a snap! Available in: a wide array of sizes from 2 Lb. Shaker Cartons to 30 and 35 Lb. poly containers to 80 and 220 Lb. Plastic Drums. Contact us for listing of all container sizes and technical details. 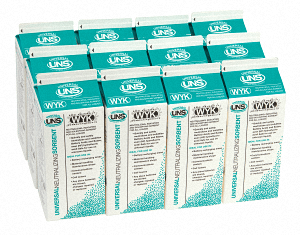 UNS (Universal Neutralizing Sorbent) is safe to use on all liquids. The perfect solution for unknown liquid spills. Helps to identify the liquid with color indicators showing if the liquid is a base or an acid. UNS will neutralize both bases and acids minimizing vapors and solidify the liquid. When neutralized UNS will color indicate when a safe PH range has been reached. edit button to change this text. This is a color indicating sorbent. Color indication initially shows the strength (PH) of the acid: Red indicates a low PH (Acidic) and turns yellow when neutralized, Blue indicates a high PH (Base) and turns green when neutralized. Available in: a wide array of sizes from 2 Quart Shaker Cartons to flip top pails and a 25 Lb. kraft bag. Contact us for listing of all container sizes and additional product and technical details. 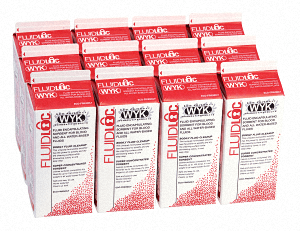 Our fluid encapsulating absorbent absorbs up to 250 times it’s own weight. 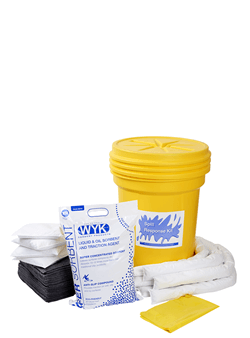 Ideal for aqueous liquids and blood and body fluids using super absorbent polymers. Non-reactive, non-flammable, non-toxic, inhibits vaporization and associated malodors and is completely safe to use. Contact us for easy to use instructions. Available in: a wide array of sizes from flip top dispensers jars to 2 qt. 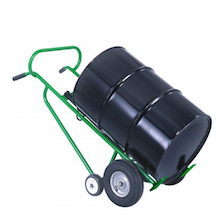 shaker cartons to screw top 5 gallon palis to 20 gallon drums. Contact us for listing of all container sizes and additional product details. Products in these categories are too numerous to show here. Please contact us with your specific or special applications.